Passion Spas retailers were provided with a preview of three new models that will be hitting the major exhibition stands in the USA and Europe before rolling out to dealership showrooms across the globe. During the September Dealer Conference at its newly-launched North American factory in Holland, Michigan, Passion Spas gave 30 of its USA-based retailing representatives a presentation of the latest Joy, Euphoria and Amore models. 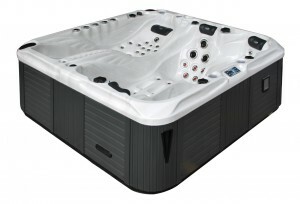 The group had a full briefing on the hot tub trio prior to their official debut introduction to visitors to stand 1002 at the trade only International Pool Spa Patio Expo, from November 5 to 7, when it is hosted in Orlando, Florida, for the first time in six years, alongside the Conference dates of November 2 to 7. The new Euphoria five-person model, coming in at 90” x 90” x 36”, and the three-person Amore, which comes in at 90” x 61” x 36” and includes a lounge seat, both feature the Levitation Bed concept. 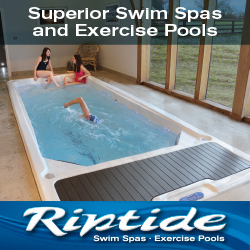 It is an exclusive design feature introduced by Passion Spas this year and showcased to a UK trade audience at SPATEX in February at the Ricoh Arena in Coventry. One of the key elements of the Levitation Bed design is that it allows the user to experience a floating sensation, while experiencing a head-to-toe massage. Additionally, the Levitation Bed allows the user to lie face down or face up, an industry-first that has been developed by Passion Spas in Uddel, Holland. While the Euphoria, which has a dry weight of 905lbs and full weight of 3,909lbs, is equipped with 100 jets its Exclusive Collection counterpart has a lower total of 60 jets. As with its stablemate; the Amore shares design similarities including five water fountains and StarBrite Interior LED light system. They are also both incorporated with Passion Spa’s exclusive Aqua Rolling Massage, plus the Wave Therapy Zone, a Cascade Creek Waterfall, and Balboa controls. Coming in at 228 x 228 x 91cm, with a dry weight of 350kg and filled weight of 2030kg; the Joy model has been designed to incorporate 91 jets, including 83 All-Active Hydrotherapy Jets with stainless steel finish; plus Balboa controls. With the Everlast synthetic floor support providing integral seat supports and structural integrity plus a maintenance-free cabinet, the Joy has a water capacity of 1,680 litres and has also been manufactured with the exclusive Aqua Rolling Massage technology. Passion Spas has also confirmed that it will be among the European contingent representatives at Piscine 2014 in Lyon on Stand 6C54, from November 18 to 21, and at the UK Pool and Spa Expo 2015, on Stand 450, in Hall 10 Atrium 1 of the Birmingham NEC, running from January 22 to 24.